Loud Mouse Clicks are a thing of the past! 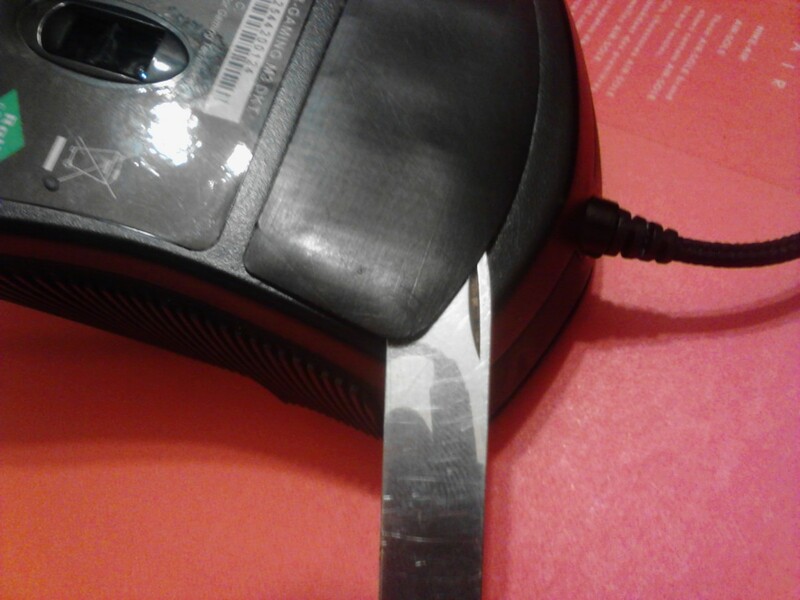 You can destroy your mouse if you do this incorrectly. Please read all steps and research anything about your mouse prior to attempting this. 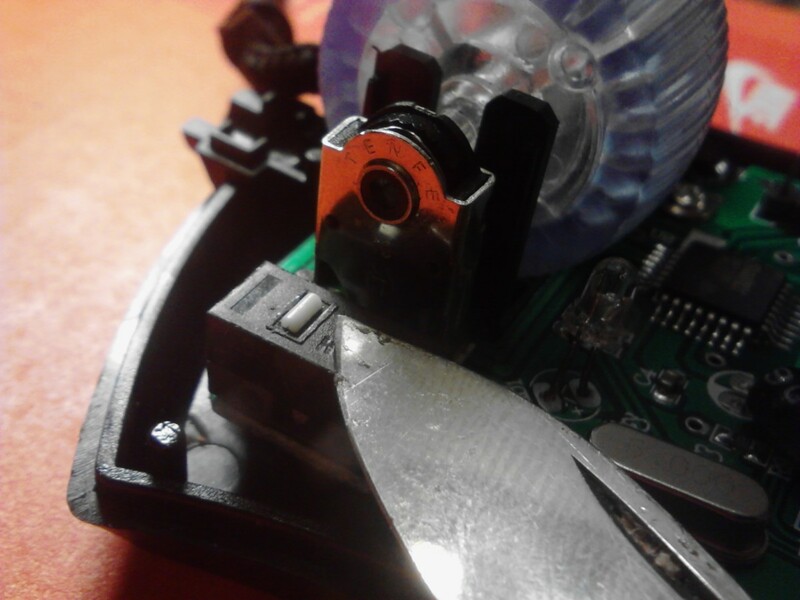 Although this is an easy project, practicing on an old mouse would be an excellent idea if you are unsure about your skill level with small electronic parts. If you work with computers a lot like I do then you may run into the annoyance of loud mouse clicks and would probably want to make a silent pc mouse for yourself. 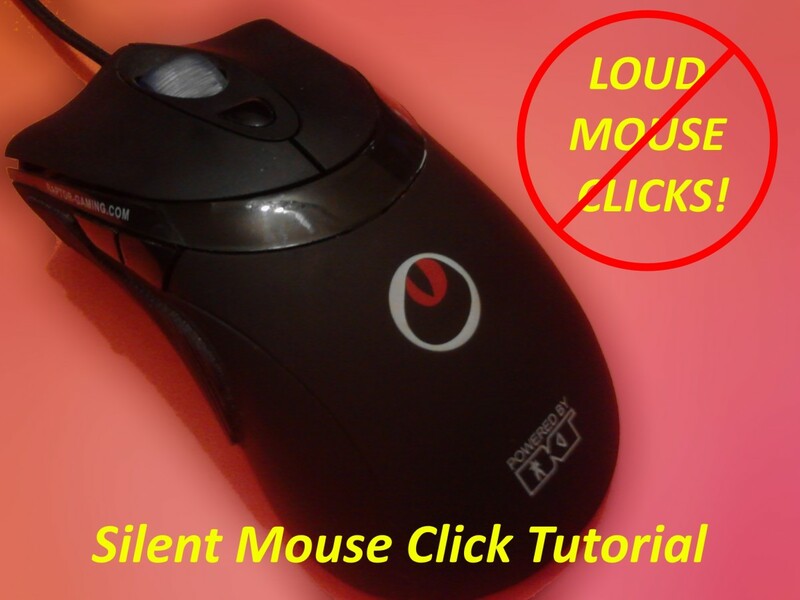 With this tutorial, you will be able to see a step-by-step guide to virtually silence your mouse. We first must understand why the mouse is so loud with each click, then we can fix this unwanted noise. 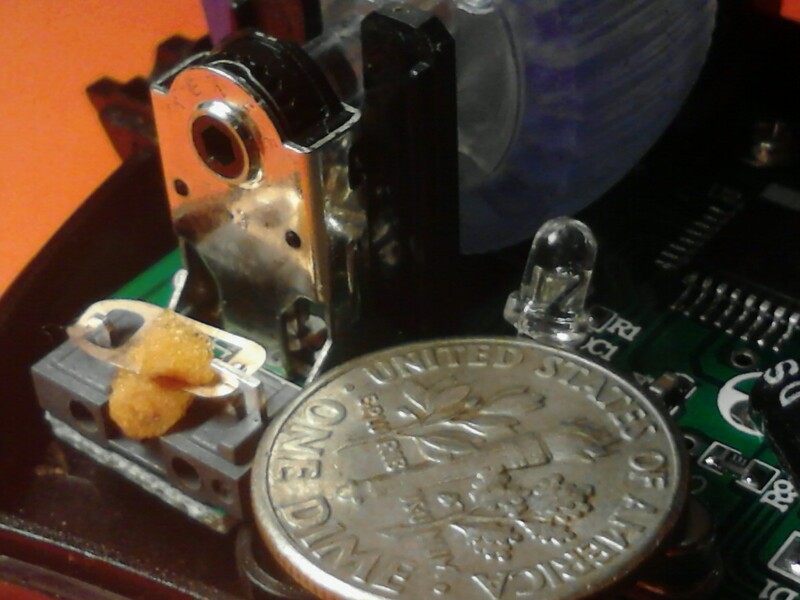 The majority of parts commonly used to make a computer mouse are manufactured with cost in mind instead of quality or performance. This applies to the body all the way down to the buttons. Most parts are made of plastic or super thin, cheap metals to save on manufacturing costs. This results in loud clicks when the button is pressed. 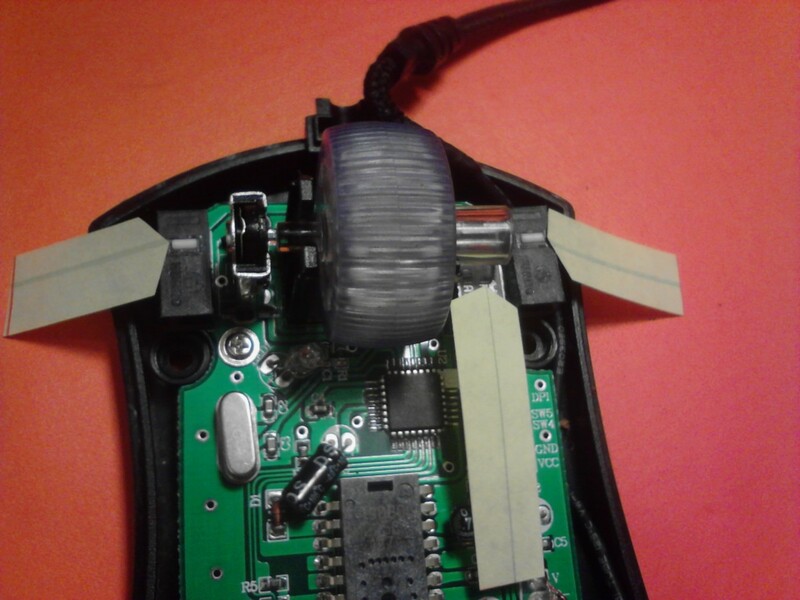 This DIY tutorial will effectively silence the clicks in most current mouse devices. The method used in this tutorial, assuming it is correctly done, will not affect the performance of your mouse buttons. The mouse will still have the same resistance as before and they will still be just as easy to click. The only difference will be your mouse no longer producing disruptive clicks. A loud clicking mouse of course. Screwdriver(s) for removing mouse cover and internal parts if required. You may need more than one type or size. I used a small philips head screwdriver to remove all screws required. This may be all that you need but be prepared to run into a special screw head that requires a different screwdriver bit to remove. Small flat blade. Either a razor blade, small pocket knife, or a thin metal paint spatula would work. Always use caution when using sharp blades or objects with your hands. Flat working surface with good lighting. Preferably something away from any electrical devices since we are working on internal components of an electronic device. Ideally an anti-static work table setup would be ideal but it is not necessary if adequate care is taken. Small tweezers or needle nose pliers. Personally, I can work on very small devices without the use of tools such as tweezers or needle nose pliers, but for this project you will most likely need them. Scissors. This is for cutting the foam we will be putting inside the mouse switch. 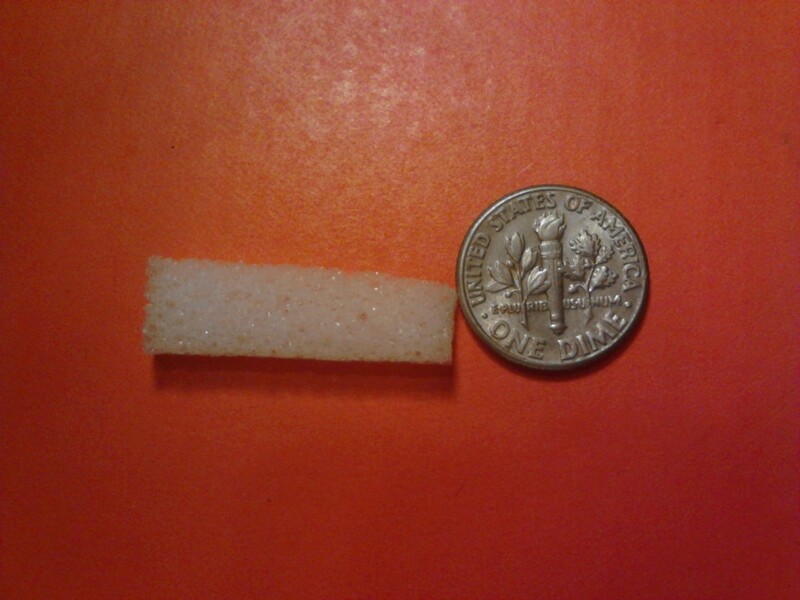 You should use the best pair you can get a hold of as this is a very small piece of foam we are cutting. It will need to be accurately cut in order to work correctly. A sharp razor blade can be carefully used in place of scissors if you do not have any. Small piece of high grade memory foam or similar material. This is the most important piece of making the mouse clicks silent. Without this it will not work correctly. A similar material may be used if you do not have access to any memory foam. 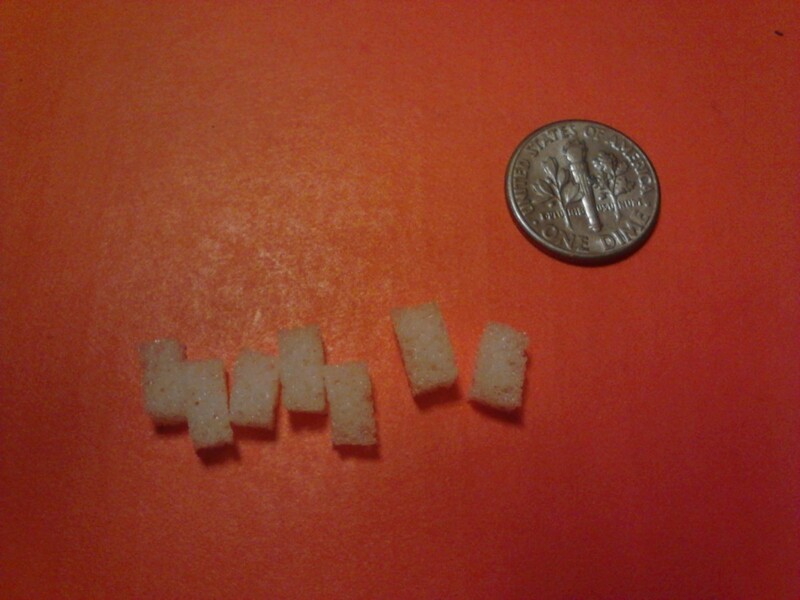 I used my memory foam from a piece cut from an old Tempur-Pedic Memory Foam Pillow. A hard foam such as Styrofoam will not work! It must be soft but snap back into place like memory foam does. Magnifying lenses if needed. I did not need any magnification lenses to do this project except when I was taking some of the pictures for the tutorial. I have pretty good eye sight but if you don't then you will probably appreciate having a magnifying tool handy. Memory foam is used because it stays true to its shape longer than cheap foam. It also has a tighter density than cheaper foam. 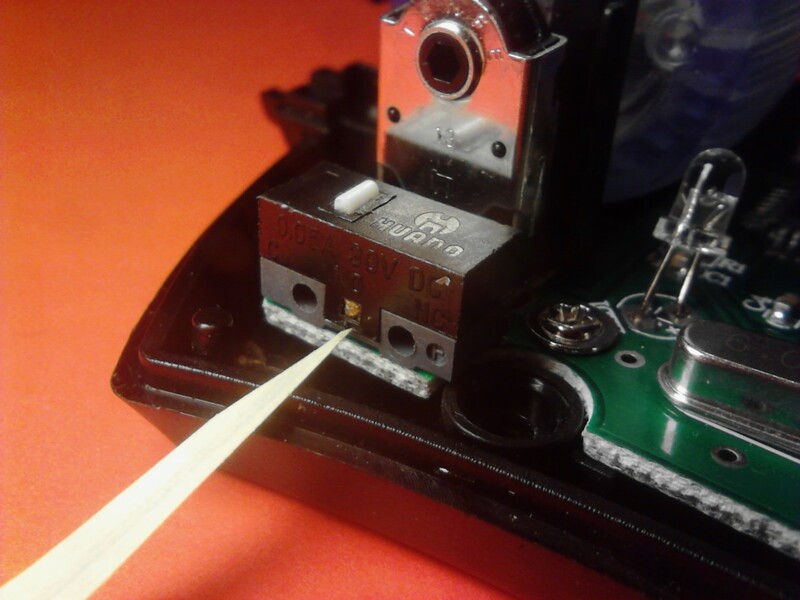 When compressed inside the switch, the memory foam sandwiches the metal contact tab and fully dampens the sound of contact between metal tab and the plastic body of the switch. Cheaper and lower density foam will most likely work but may not fully dampen the sound from the switch. Bottom view of the mouse. Remove any pads or covers which block access to the screws. Remove last cover over the screws. All covers are removed here to reveal 4 screws. Your mouse may vary. My mouse uses standard philips head screws. 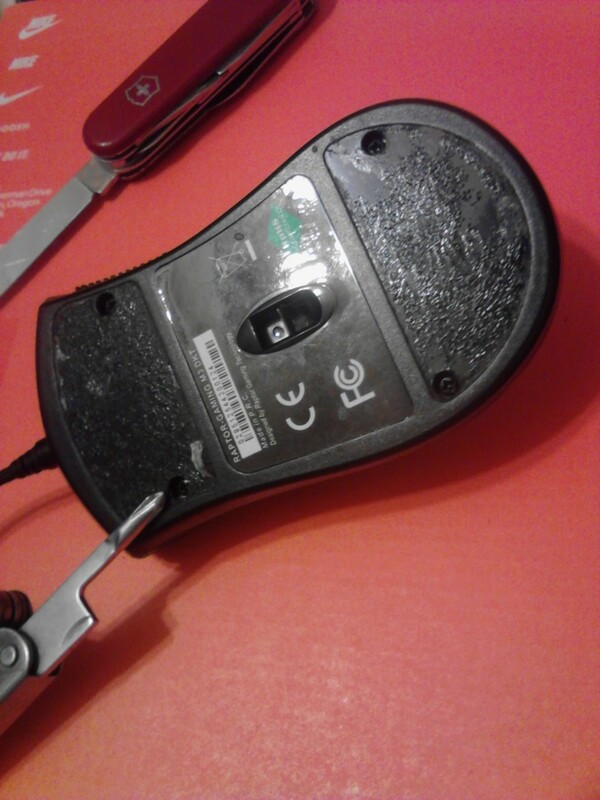 Your mouse may use less common screws so be prepared to buy a special screwdriver if needed. All screws removed to allow opening of mouse. Set aside all small parts in a container so you don't lose them! 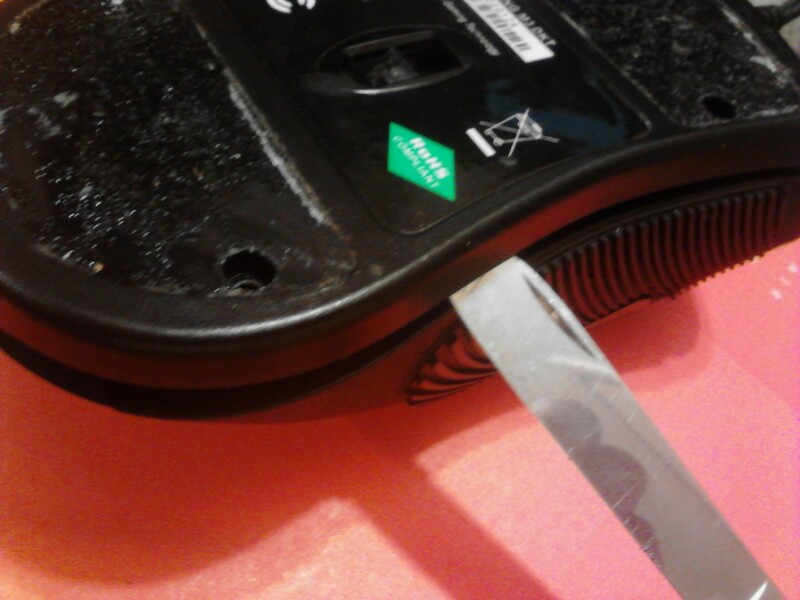 If necessary, use a flat blade to gently pry open the mouse. A small, dull butter knife will work great. 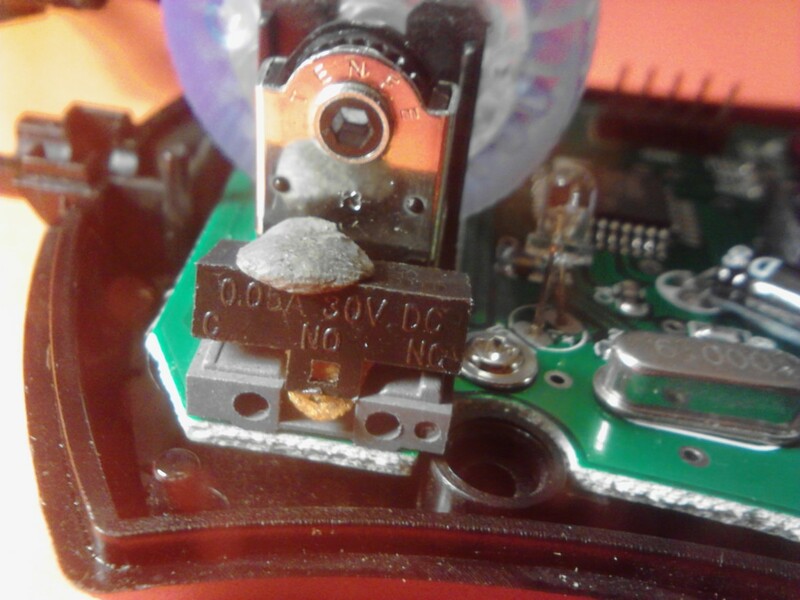 Use caution so you don't jam into the inside of the mouse to avoid damage to the internal workings of the mouse. 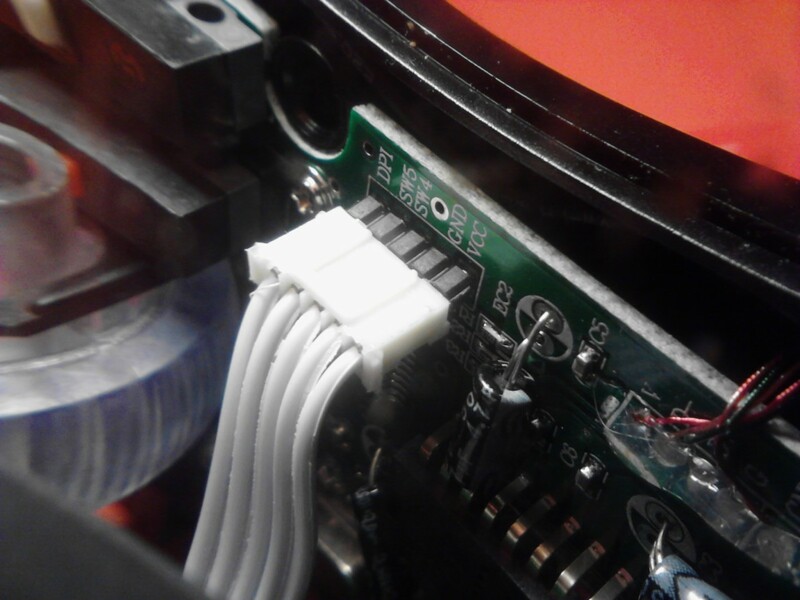 This small ribbon cable must be carefully removed before top and bottom halves can be separated. 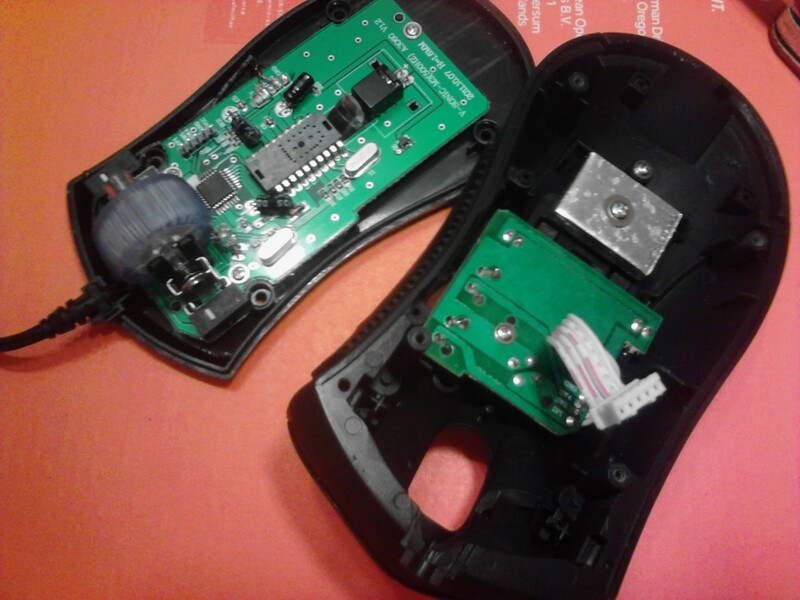 Your mouse may vary, check the insides before separating any parts from one another. 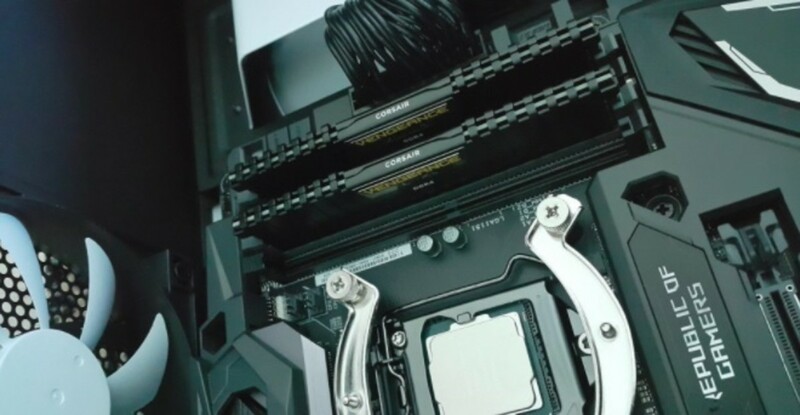 Damaging any of these connected cables would not be good. Step 4: Loud Computer Mouse Ready for Silencing! Top and bottom halves have been separated. These 3 yellow arrows show the 3 buttons/switches which may be silenced. The arrow on the left is the left button switch, middle arrow is the middle switch, and the right arrow is the right switch. Pointing to the part of this particular switch covers clip latching point. Your switch covers should be similar. Check before attempting this next step. 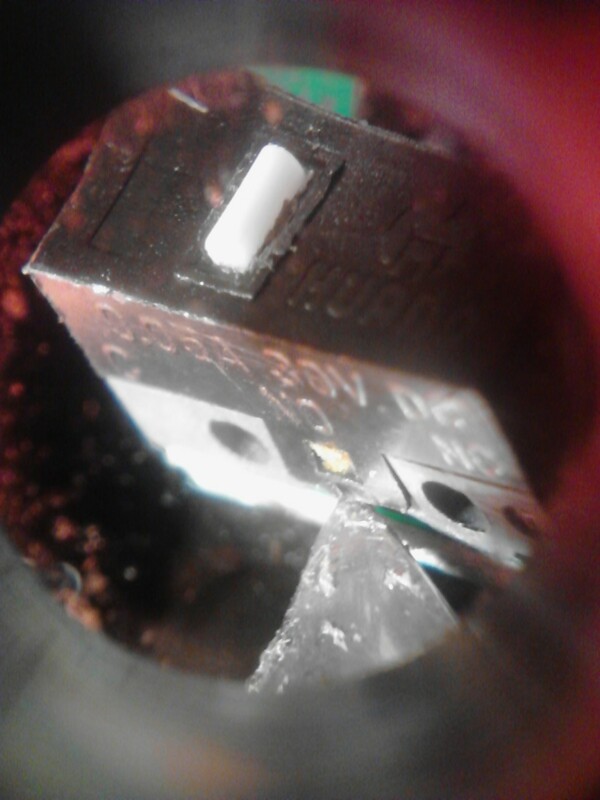 Close up shot of the latching point of this specific kind of switch. This switch has another identical tab on the opposite side of it that will come off once we remove the first side. Use caution here as the switch can now be damaged very easily! The first side of this switch is up and now we can gently wiggle it off the other clip on the other side of the switch. Notice the small gray material that looks like putty on top of the switch. This is sticky material for hanging posters on walls. It is holding the small white piece of the switch so it won't be lost when we take apart the switch. This is the switch cover removed. Notice the small white piece in the foreground. 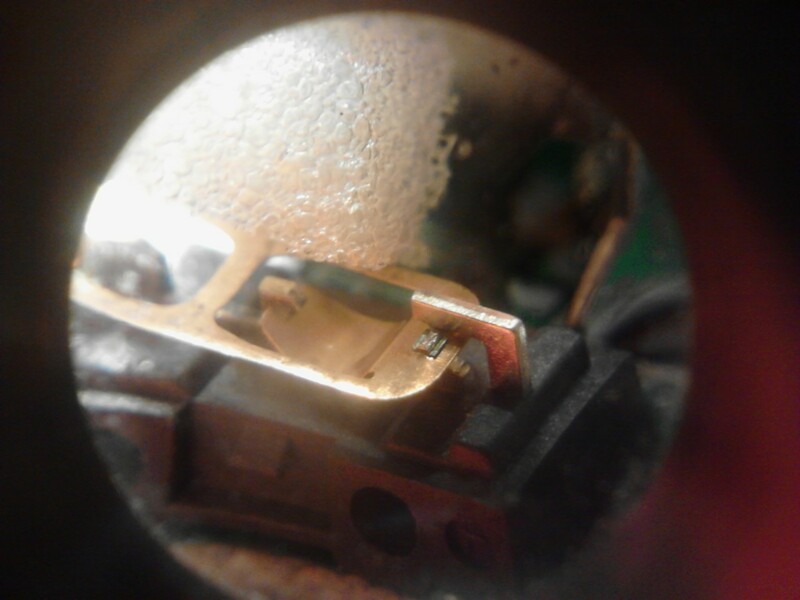 This is the part that presses the internal switch piece that makes the loud click sound we hate. Don't lose this or you will be in big trouble. The small switch is on the left with a piece of orange memory foam already placed inside the switch. The dime is for size comparison. If you cannot work on something this small then get help or stop working on this until you are comfortable doing so. Side shot of my memory foam piece. 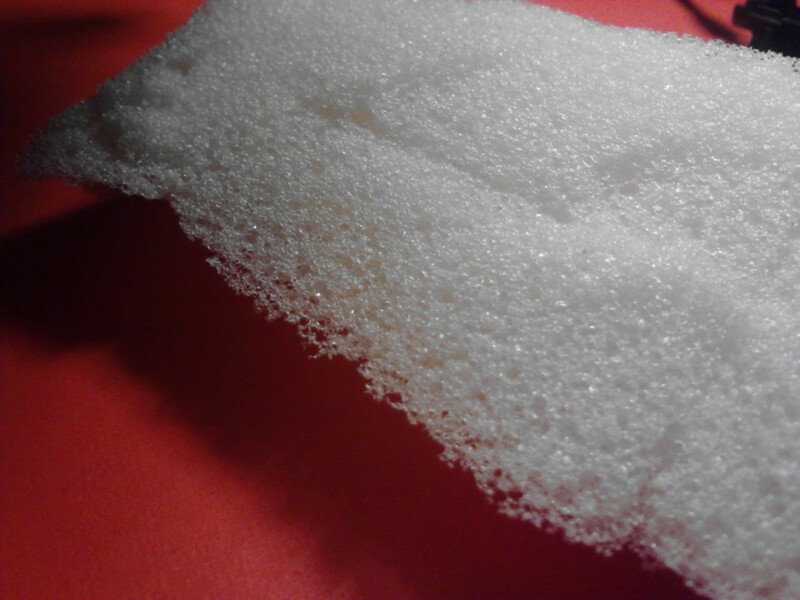 This foam is from the inside of a Tempur-pedic Memory Foam pillow. I recommend only high grade memory foam. Do not use something like Styrofoam. 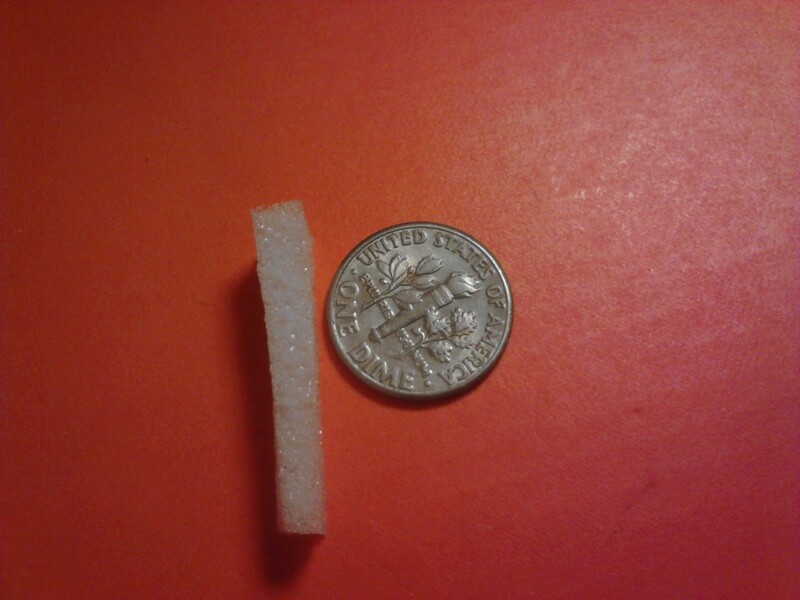 Small memory foam piece next to a dime to show the thickness of the piece we need. Same piece of memory foam showing the width of the piece we need. Our small piece of memory foam now cut into 7 small pieces. 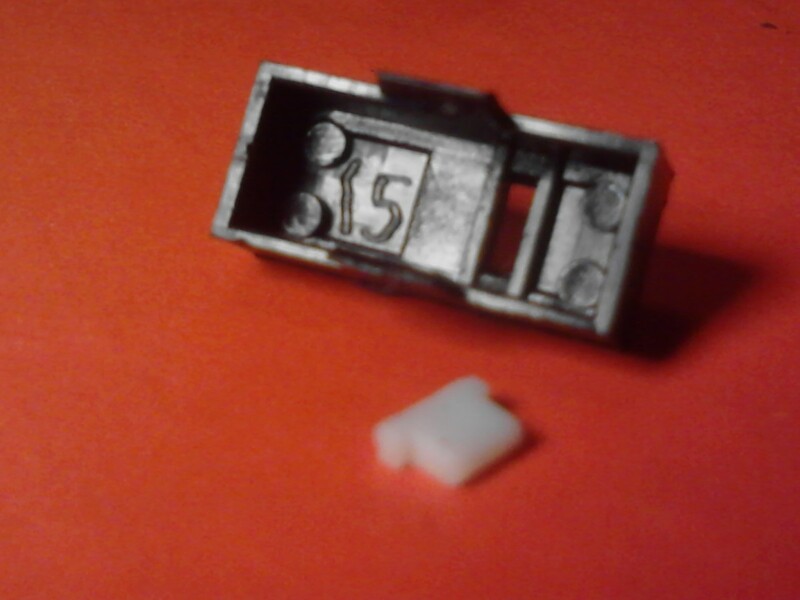 Take one of those small pieces and start to insert it into the center of the metal clicker switch. 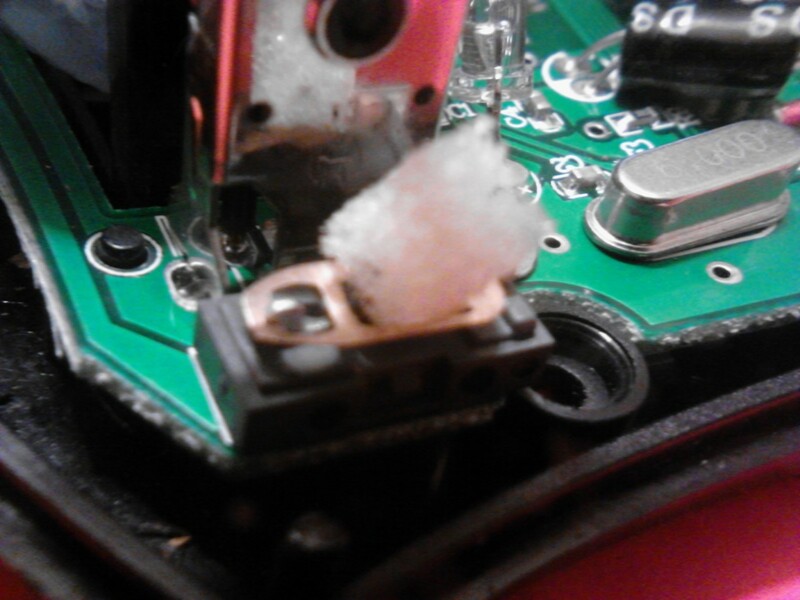 Magnified shot of the switch with the small piece of memory foam just above it waiting to be inserted into the switch. Start by using some tweezers to gently push/pull the piece of memory foam through this part of the switch. It must be done very carefully and it must be done on this part of the switch only! Notice how the foam piece is now pulled about half way through the metal contact piece. Make sure no foam has been jammed in between the metal contacting points of the switch. 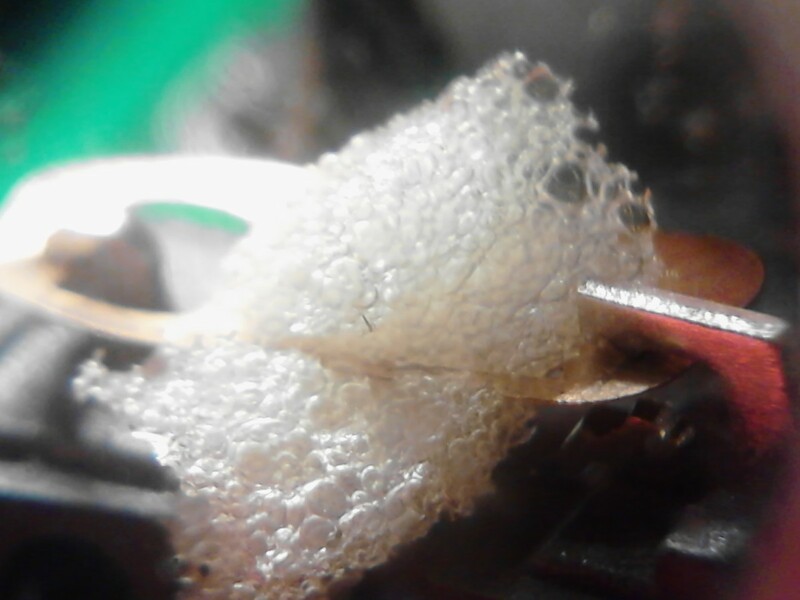 Top view of the same piece of foam on the switch showing it pulled about half way through the metal contact tab. Using a knife or small pointed object, press down gently on the small strip of metal going across the metal switch tab. This is the contact point of the switch when it is pressed down. Gently press up and down. Feel for the click of the mouse button. If done correctly it will be nearly silent. Adjust it to your liking. It will be more silent once the switch cover is installed again. Carefully replace the switch cover. Use care when replacing the small white portion of the button. This is easy to lose. Gently snap the cover evenly back on top of the switch. Trim or adjust the memory foam if you are having trouble. Plug in your mouse before putting it back together and test your click button for silence and functionality. Use the knife point to gently press on the white button. This should now register as a silent click! Assemble everything in the reverse order of removal. Everything should go back together easily. If you have to force something then you are probably doing it wrong. 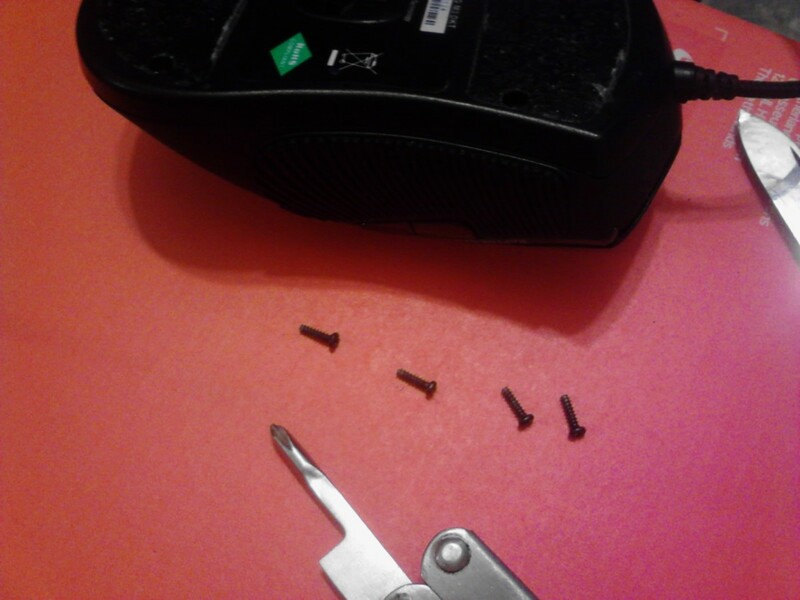 Nothing should be forced, if you are having to use more effort than normal you should take the mouse apart and check for anything causing hang-ups with reassembly. 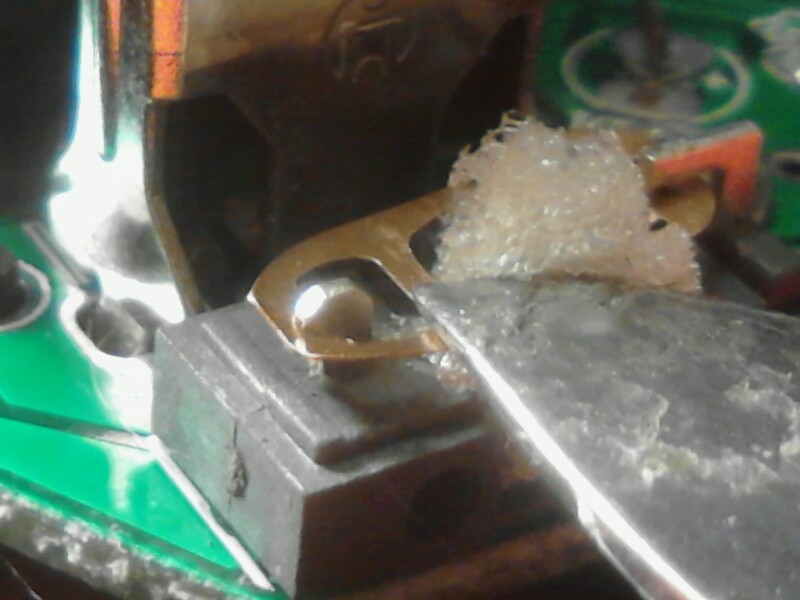 If a switch is broken or the metal piece of the switch is dislodged from the rest of the switch you will need to use tweezers or needle nose pliers to put the switch back together. 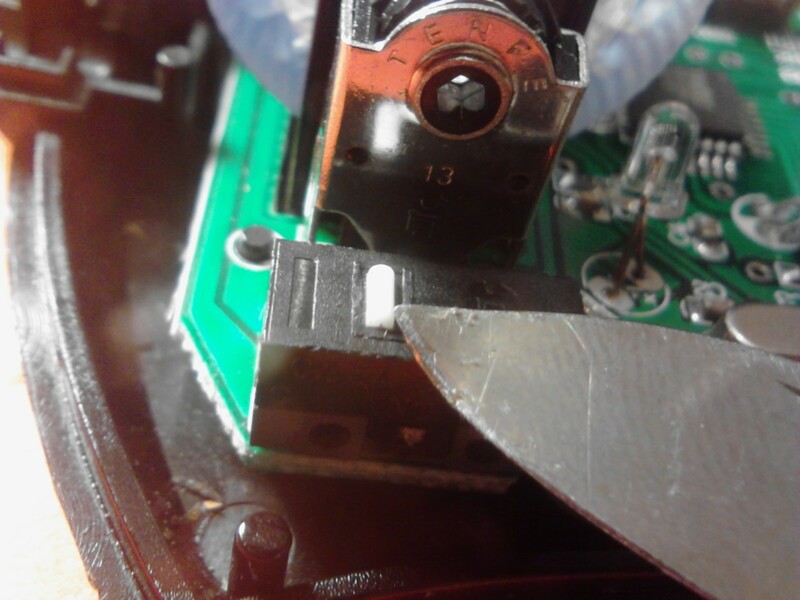 If parts of the actual switch break (meaning they snapped in half or bent beyond repair) you will need to replace it for the mouse to function normally. 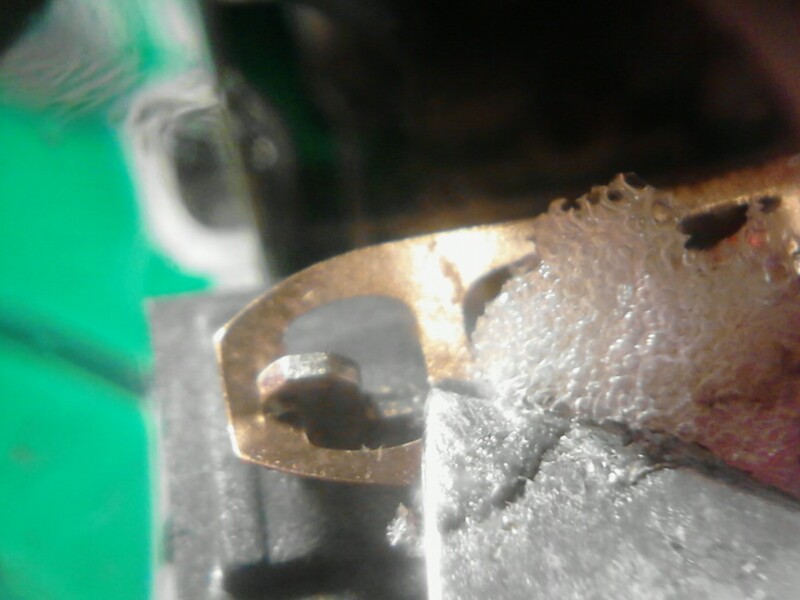 I dislodged one of the metal contact pads inside one of the switches I was working on. It took me about 5 minutes to get it back in correctly. They must be inserted back correctly. Study the way it looks before working on the inside of the switch in case something goes wrong. 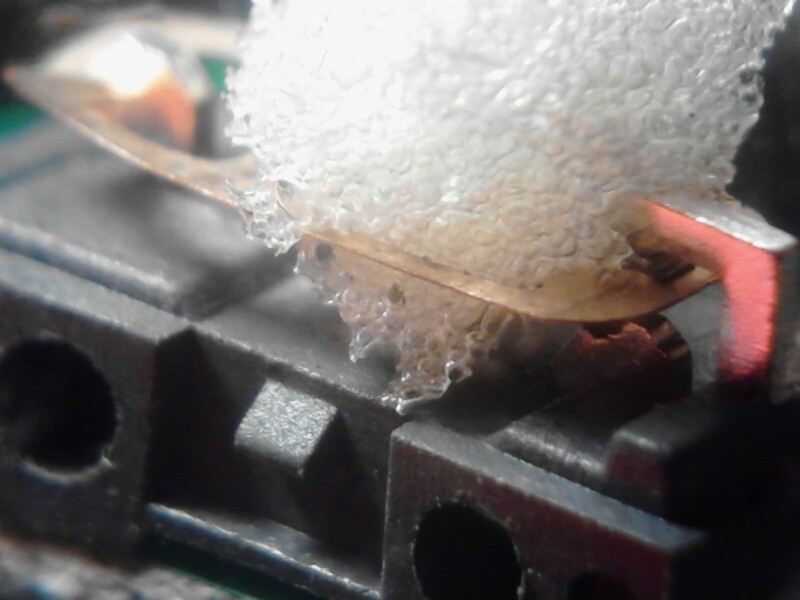 Replacing a broken switch will be much more difficult than the rest of this tutorial and will most likely take some intermediate soldering skills at the very least. 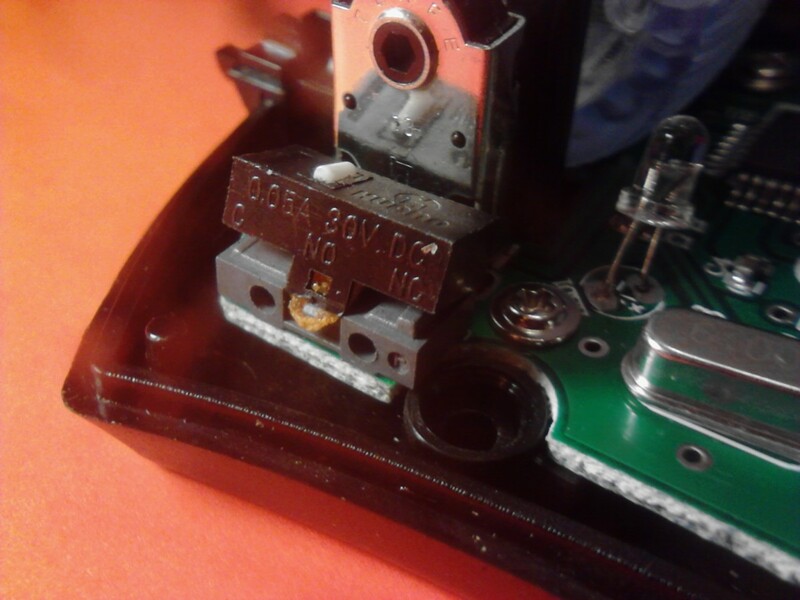 Use caution inside the mouse, but mostly inside the actual switch(es) as they are very delicate. Have You Completed This Project? It looks too difficult for me. I don't have the correct materials. Working on electronics are not my thing. Beautiful, it's completely silent, I can't feel the click either, but that's fine, as long as it works. 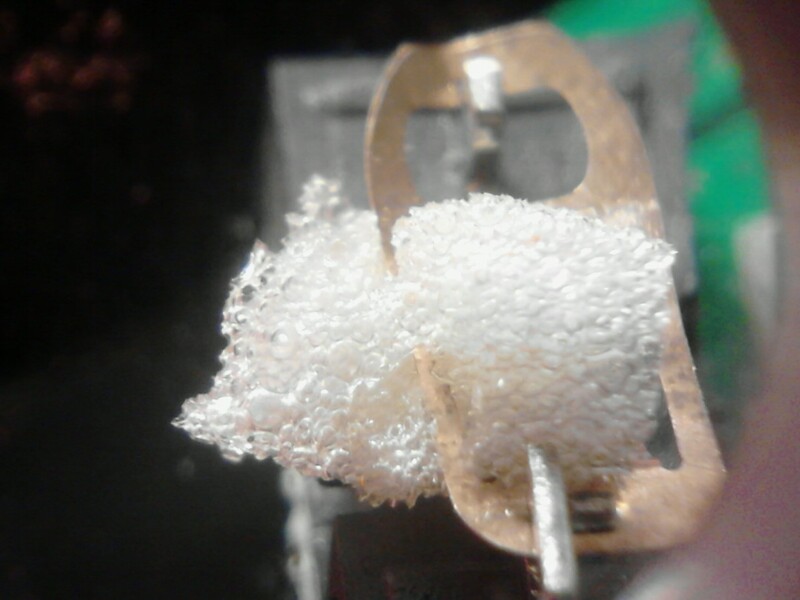 Remember to use non-conductive foam material. This method works great, just want to add that i used rock-wool insulation through lack of other material. It works very well my mouse is now as silent as a flying owl. It works nicely. Did not completely eliminate the clicking noise but the noise has greatly reduced. Thak you. For everyone who tried this and it worked, AWESOME! For those who said the switch is more sensitive now, that is probably because your memory foam pieces are too thick. I had the same problem my first time around and trimmed just a slight amount off the memory foam pieces and it worked much better! I can't really make a video to show the sound difference either. I would have to have a professional recording studio setup to be able to tell in a video. But, the difference is probably 95% quieter than without the memory foam. Literally it is nearly silent if done correctly. Works amazingly! My acer mouse is now completely silent after being able to wake the dead with its clicks. It did make the buttons much more sensitive but it's worth it! works flawlessly on my Logitech Mouse using memory foam from an old mattress. Kudos to the author you are a blessing! Why do they even make it with clicking sounds? Thanks, just did it myself, though I didn't have all the tools, through improvisation I did it. Unbelievably better now, the clicking was driving me INSANE as I was playing Diablo 2. Thanks again. I got a disturbing amount of satisfaction from this. Deadening near silence. Perfect. Wish there was a video to compare the before and after sound of doing this mod. I got a mouse very quickly after doing some research on a good and cheap one with switches like this, and got a Etekcity M555 mouse. I got to work immediately. One interesting thing is that after carefully trying to get the switch boxes open for a half an hour, I realized that the latches were on the opposite sides unlike the ones on your mouse in the tutorial! They also weren't really visible. So that is definitely something to look out for. They came off a little differently, and in the process of doing it my first time I actually dislodged the switch 'plate' and then spent almost 2 hours attempting to get it in place just to work normally! It was a nightmare. I almost thought I wasn't going to be able to do it, but I miraculously got the plate back on and the foam in both switches and it works amazingly well. I can't say it was easy.. it was a little stressful but I eventually did it. Even though it *is* possible to place the plate back if you dislodge it, its shape needs to be perfect to sit on the switch, and placing it back on is like setting up the world's tiniest mouse trap, haha. The only other minor thing was that I had to bend a red LED that was bent around the right-click switch, and bending it too much could potentially break it. I also wanted to set up the middle-click switch, but I couldn't pull the wheel out to actually get to the switch. I rarely ever use the middle-click anyway. Thanks so much for this! I'm very happy with how this turned out. I really am not sure what mice have the correct switches. I was not aware that microsoft used those types of switches as I do not have any MS mice around anymore. I am pretty sure that Logitech mice mostly have those switches and probably most mice generally have those switches as well. look for your traditional 'clicker' mice with a loud click you can feel on your finger tips. It should be a metallic feeling click the sort of vibrates for a split second after you click the button. The softer click mice much like Apple mice are probably not going to have the correct switches to silent using my tutorial. Great to hear your foam has arrived! It is the one thing in my tutorial that I would really recommend people getting. I have used all sorts of things and the foam worked best. It stays in place well, is easy to cut to the correct shape/size, and it does not lose its shape or size over time much like a lot of other material will. Good luck and try a cheap Logitech mouse and I bet you will be able to use the foam to silent it. Post your results so we can learn from your project! Great article. The only thing that I find that could help is to let people know of some basic mice that you know have the right switches. 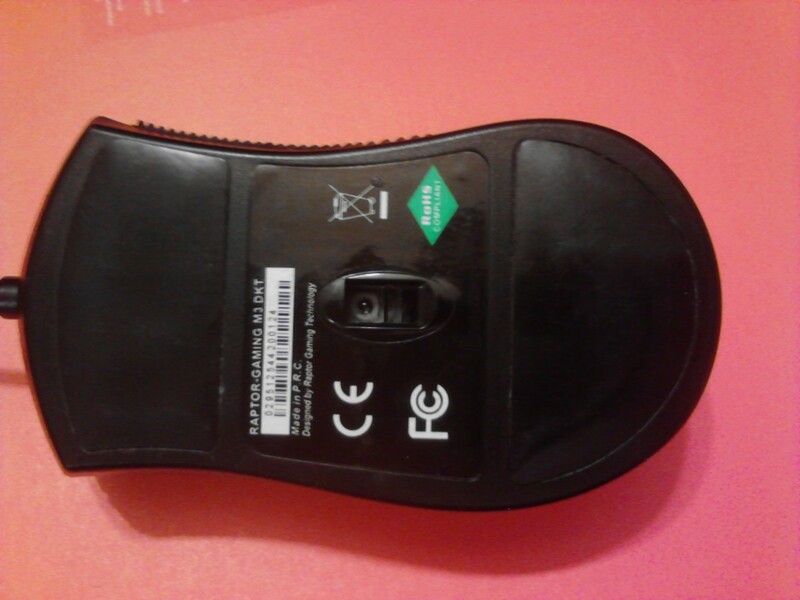 My Microsoft mouse has totally different types of switches (small and square... and still loud) and I really have no idea if the mice I'm looking at online have the proper switches that are needed. I actually just got my memory foam in the mail. Maybe I should take a gamble with some cheap mice online, I don't know. This tutorial was very useful, i just want to share my experience to it. During the part when you add the memory foam, my inserted memory foam was not working as to silence but was getting in the way, so I put very small piece of ducttape (2 layers) in between the magnet and top hook. And voila! now i have a Super Silent Ninja Mouse. 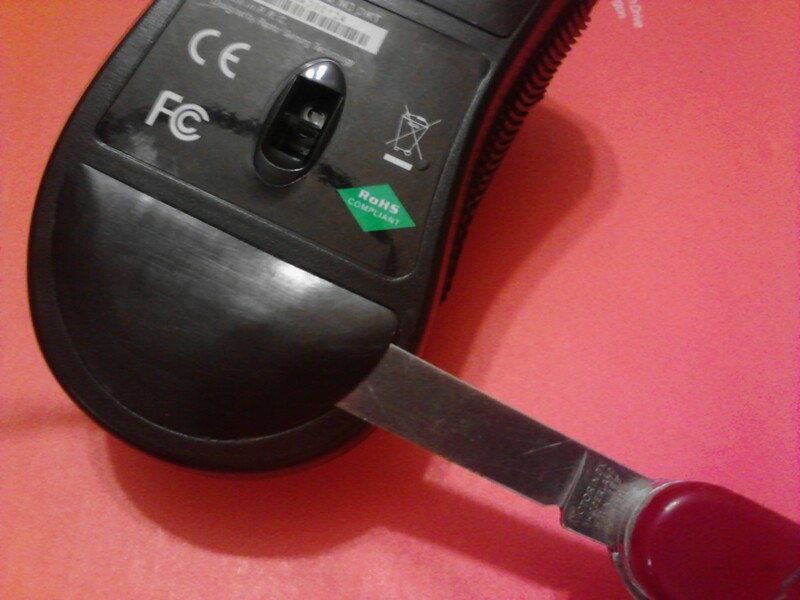 I'm thinking of doing this to every single mouse in my office (4-5 pcs) as they are gettin on my nerves. LOL.. Thank you Gertsen! I will add that to this tutorial. I was working on another mouse last night and I really think the memory foam plays a huge role in making this work correctly. Free samples (information kits) are available in many other countries too, you just need to go to the national tempur website (if one is available in your country), and order it from there.